Landscaping shrubs are grown in a wide range of shapes, sizes and colors, all with their own specific growing requirements. Many landscape shrubs are evergreen meaning they keep their color and foliage all season long, when most other shrubs die down. With the variety of bright blooms that emerge during their growing season, flowerbeds and borders fill with color and beauty. Arrowwood viburnum (Viburnum dentatum) is a deciduous shrub with a moderate growth rate and medium texture. Its dense rounded shape is spreading in form with arching, multi-stemmed branches. Arrowwood shrubs have lustrous dark green leaves that are serrated. They grow over 4 inches long and turn a purple red in the fall. Their creamy white flowers are grown in cluster-like shapes that range 2 to 4 inches wide. Arrowwood viburnum shrubs grow 6 to 10 feet high and 6 to 15 feet wide, ideal for planting as a landscape shrub in a front flower bed or backyard garden. Drought tolerant, arrowwood viburnum is an ideal landscape shrub for arid climates where moisture is limited. Arrowwood viburnum require full sun to partial shade and moist to dry soil to thrive. The USDA hardiness zone for planting is 3 to 8. The bigleaf hydrangea (Hydrangea macrophylla) is a rapidly growing deciduous shrub that adds a bright burst of color the landscape. The rounded, compact forms have erect stems that hold the puffball-like blooms. The large flat-topped flowers grow in a wide range of colors including, pink, white, cream, blue and violet. The lustrous dark to medium green leaves grows 4 to 8 inches long. To change the colors on the bigleaf hydrangea shrub, change the pH levels up or down depending upon the preferred color. For blue flowers the pH range needs to be between 5 and 5.5. For pink flowers a range of 6 to 6.5 is preferred. 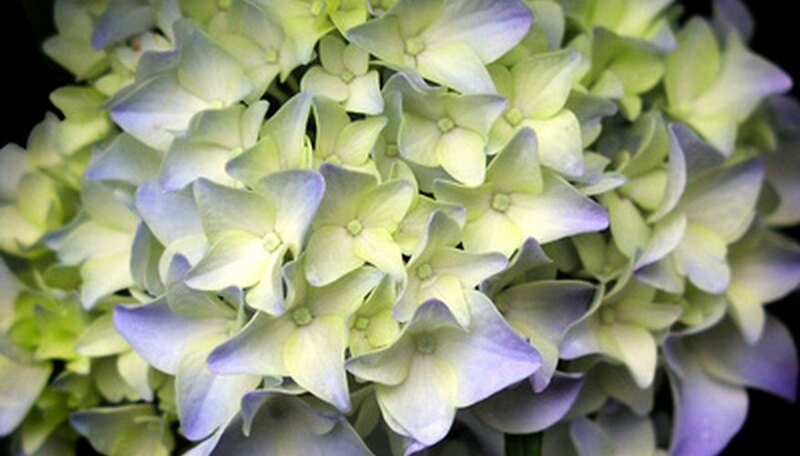 Bigleaf hydrangea blooms grow 3 to 4 feet tall and 4 to 6 feet wide. They require full sun to partial shade and well-drained nutrient-rich soils. The USDA hardiness zone for planting is 6 to 9. Common boxwood (Buxus sempervirens) is an evergreen shrub with medium to fine texture. The rounded form is dense and multi-stemmed and grows 15 to 20 feet wide, ideal for a landscape hedgerow. Common boxwood shrubs have dark green leaves that grow up to 1 inch long and in winter cast an orange shade to the landscape. The fragrant, yellow flowers on the common boxwood emerge in spring. Drought-tolerant, common boxwood shrubs are easy to transplant. They prefer full sun to partial shade and well-drained, moist soil with a pH of 6 or higher. The USDA hardiness zone for planting is 5 to 8.